We offer FREE NHS routine checkups and treatment for all children up to the age of 18 (and for full time students up to 19) at John Cuddigan and Associates. 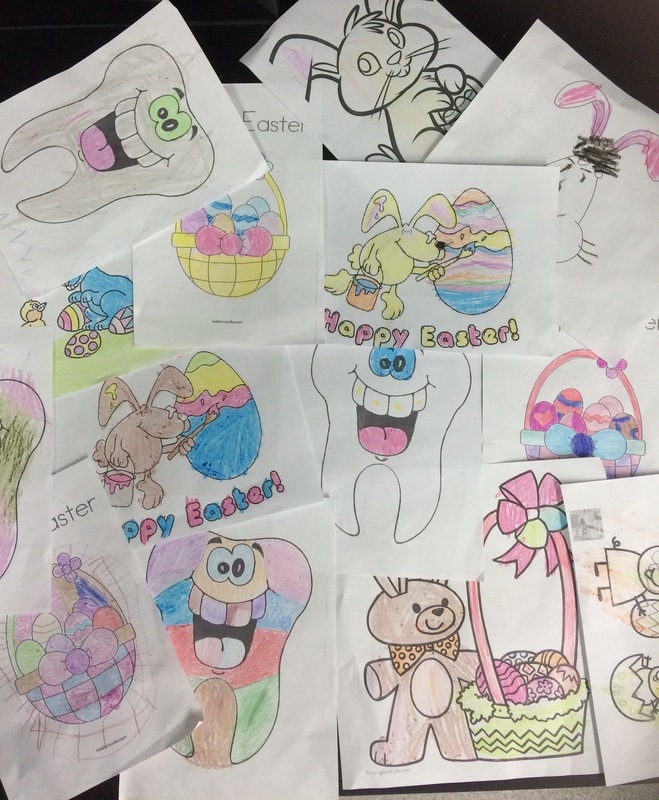 All 3 of our dentists enjoy working with children and will endeavor to put them at ease. We understand that this is an new environment and that children can initially feel apprehensive. We find that this quickly disappears and that they usually leave us smiling! Some of our Easter colouring competition entries! For younger children we have a children’s corner with books , magazines and toys to keep them entertained while they are waiting. We advise that you start to bring your child from the age of 2 and that your child attend regular checkups in order for them to develop a positive and healthy attitude towards visiting the dentist and because prevention is better than cure! The Royal College of Surgeons recently highlighted the fact that tooth decay is the most common single reason why five- to nine-year-olds are admitted to hospital. It doesn’t have to be that way for your children- book an appointment now! Once upon a time in a land high above the clouds, the youngest fairy child lived with her two Fairy sisters and her Fairy Princess Mother. Her Fairy sisters were older than the youngest Fairy and acted “very grown up”. The youngest Fairy was not mature at all. While her sisters listened and learned Fairy lessons from their Fairy Princess Mother, she giggled and played games and thought up stories and used her fairy imagination to think about little boys and little girls in other lands. Her mother, the Fairy Princess came to see her one night as she gazed from Fairyland upon the stars. “So instead of practising your Fairy skills, you have been visiting little boys and little girls in far off lands?” Her Fairy Mother asked. The Youngest Fairy went to bed and rested well with visions of young children dancing through her dreams. The Youngest Fairy was very nervous as she heard this since she knew her sisters had practised much more than she had. “That’s a very important job,” the Princess Fairy Mother said. The Middle Fairy Sister looked very pleased with herself as she said, “I have practised very hard on a special skill – I will fly around the world. When two people who are alone in the world meet together, I will make invisible sparks fly and create what I call Love.” She looked at her Fairy Princess Mother for approval. “And what about you, my youngest Fairy, what will be your job?” she asked. The Youngest Fairy thought and thought but she couldn’t think of anything as wonderful as her sister’s jobs that she had the special Fairy skills for. Her face began to flush. Her sisters looked at her while thinking, what could she do, what would she do? The Youngest Fairy looked at the Fairy Princess Mother. The Youngest Fairy could barely believe her ears. It was perfect. Her destiny was to be the Tooth Fairy. And that’s how the Tooth Fairy was born. Will a dummy or thumb sucking harm my child’s teeth? No, but they will encourage an open bite, which is when teeth move to make space for the dummy or thumb. They may also affect speech development. That’s why you should avoid using dummies after 12 months of age. Thumb sucking and dummies won’t cause permanent problems as long as the habit stops by the time your child gets their second teeth, but it can be a hard habit to break. Discourage your children from talking or making sounds with their thumb or a dummy in their mouth, and don’t dip dummies in anything sweet, such as sugar or jam. Can sippy cups or bottles harm my child’s teeth? Yes. It’s a problem most parents aren’t aware of, but sippy cups and bottles are in fact two of the leading causes of tooth decay in the UK. Giving a child a bottle containing milk, formula or any drink other than water for a long period of time can seriously damage their teeth – especially just before bedtime. Bottles and sippy cups expose your child’s teeth to a prolonged acid attack which can cause serious tooth decay. To prevent any damage, ensure their bottle is taken away as soon as they’ve finished drinking, and don’t give them any sweetened drinks in a bottle. Fizzy drinks can contain large amounts of sugar, which will increase the risk of tooth decay. All fizzy drinks (both those containing sugar and sugar-free or “diet” versions) also contain acids that can erode the outer surface of the tooth. What are the best drinks for my child’s teeth? The best drinks for children over one year old are plain still water or plain milk. What are the best snacks? The best snacks are fruit and raw vegetables. Try tangerines, bananas, pieces of cucumber or carrot sticks. Other good snacks include toast, cheese sticks, rice cakes and plain popcorn. Dried fruit is a concentrated source of sugar and tends to stick to teeth, so only give it occasionally as a snack to children. How is diet important to my child’s oral health? Watching your child suffer with toothache is a painful and upsetting experience. The main cause of toothache is tooth decay. And too often the main cause of tooth decay is too much sugar in the diet. Every time your child eats or drinks anything containing sugar, this sugar combines with the bacteria in your child’s teeth to form acid. This acid attacks their teeth for up to an hour after eating. It can damage their tooth enamel, causing a hole or ‘cavity’ to form. This in turn can lead to fillings – or even an extraction. Cutting down on how much and how often your child consumes sugar will reduce the damage these acid attacks can cause. Cavity. That’s the word no one wants to hear at the dental surgery. A cavity develops when a tooth decays, or breaks down. A cavity is a hole that can grow bigger and deeper over time. Cavities are also called dental caries, and if you have a cavity, it’s important to get it repaired. But why would your tooth develop a hole? Blame plaque. That’s a sticky, slimy substance made up mostly of the germs that cause tooth decay. The bacteria in your mouth make acids and when plaque clings to your teeth, the acids can eat away at the outermost layer of the tooth, called the enamel. If you don’t go to the dentist, the acids can continue to make their way through the enamel, and the inside parts of your tooth can begin to decay. If you’ve ever had a toothache or heard an adult complain about one, it may have been because there was a cavity that reached all the way inside a tooth, where the nerve endings are. Ouch! Sometimes it does, but your dentist can give you an anesthetic. That’s a kind of medicine that will numb the area around the problem tooth while you’re getting your new filling. Children need to be helped or supervised brushing their teeth until they are at least seven years old. Fluoride is a natural mineral found in drinking water and many foods. It plays an important role in your child’s oral health by strengthening their tooth enamel, making it more resistant to tooth decay. All children can use family toothpaste containing 1450-1500ppm (parts per million) fluoride, providing you supervise brushing up until the age of seven and make sure children don’t lick or eat toothpaste from the tube. Below the age of three, children should use just a smear of toothpaste. Children aged between three and six years should use a pea-sized blob of toothpaste. Brush every surface using a soft, small-headed toothbrush. Using small, circular movements, try to concentrate on one section at a time. Encourage children to spit out excess toothpaste, but avoid rinsing their mouth with lots of water; this will wash away the fluoride and reduce its ability to prevent tooth decay. It is essential you brush your child’s teeth for at least two minutes twice a day: once just before bedtime and at least one other time during the day. Brushing before bed is particularly important. When your child is awake, saliva helps to keep their mouth clean. When they’re asleep, however, they produce much less saliva. If you don’t brush your child’s teeth before bed, the bacteria you leave can easily damage their teeth during the night. Never brush children’s teeth straight after a meal – always wait at least an hour. 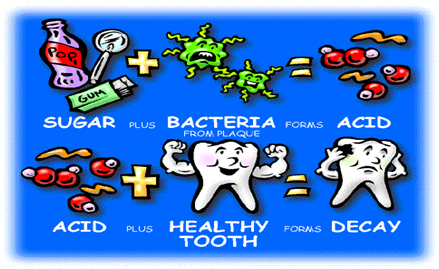 Because acid in food and drink softens tooth enamel, brushing straight after a meal can actually wear the enamel away. Are you seated correctly? When brushing your child’s teeth, you may find it easier to stand or sit behind them, cradling their chin in your hand. Another way is to sit behind your child and rest their head in your lap. This allows you to reach the top and bottom teeth more easily. We all know children like to copy things. Brushing your teeth in front of your child can encourage them to brush theirs too. There are a number of ways to make brushing more fun. Brightly coloured brushes, ones that change colour, ones with favourite characters on the handle, and even ones that play a song all encourage children to brush their teeth. Encouragement is essential. Praising your child when they let you brush their teeth is often a great way to get results! Two minutes too long for them? Try a timer or a timed toothbrush. They offer a fun way to ensure your child brushes for the full two minutes. 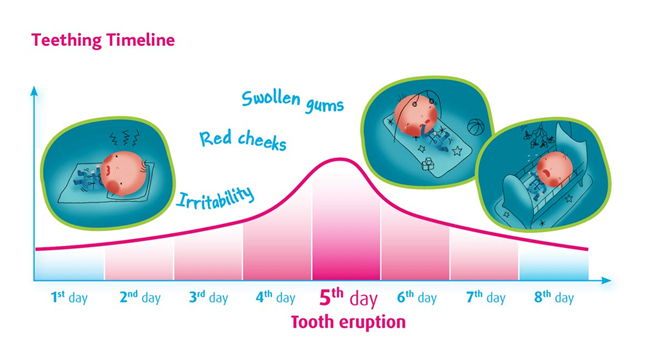 For extra encouragement try a tooth brushing chart. 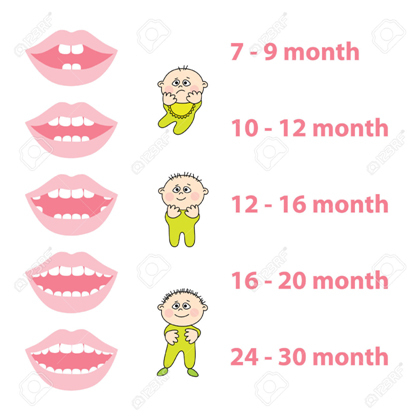 You can reward your child with a smiley face every time they brush for the correct length of time. Visiting the dentist can be a stressful experience for a child. The sounds and smells can all be very unfamiliar, and although it’s obviously in their best interests to come to us for regular check-ups, it’s not always easy for them to relax. Whatever your own feelings are about visiting the dentist, it’s important you make it a positive experience for your child. Avoid mentioning anything about pain or discomfort. If you know you’re particularly afraid of the dentist, it may be better for another family member to take your child to their appointment. Children can often sense your fear, and learn to become fearful too. How can I make my child less scared? Start early. Regular visits are the first step in keeping your child calm during appointments. Rehearse the visit. Before their check up, pretend to be the dentist, ask them to open their mouth and using something like a toothbrush, pretend to check their teeth. This will familiarise your child with the process and make them much more relaxed. Try a book. There are some great books to help your child to understand what happens during a visit to the dentist. Some great options include Peppa Pig’s Dentist Trip, Dora the Explorer’s Dora Goes to the Dentist and Sponge Bob Squarepants Behold No Cavities! Don’t bribe them! It may seem like a good idea, but offering your child a treat if they visit the dentist can actually increase their anxiety. It tells them there is something to be anxious about. A surprise treat afterwards if they have been good is fine though.